Make room in your travel bag! 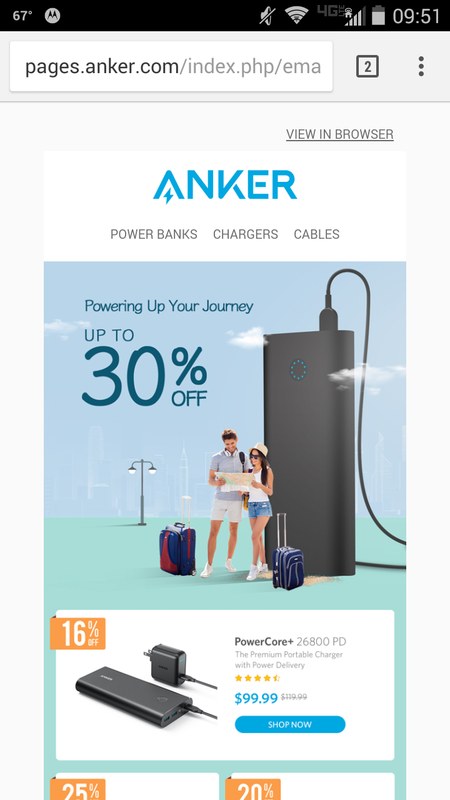 Here comes Anker! If you have a Anker 60W 10-Port USB Wall Charger in your travel bag, you're a hacker and you will get stuck at customs! I don't understand why you would say this. There isn't even a battery inside the device and airlines care a lot more about batteries than electronic devices. Wow $99.99 is something I would have to think about it before I would buy it. This email was sent to obfusacted@icloud.com. If you no longer wish to receive these emails you may unsubscribe at any time. You might be more suspicious, when you are carrying NO electronic devices at all.